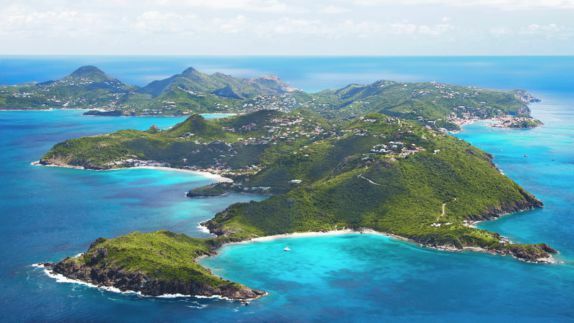 St. Barths is the most exclusive island in the French Caribbean that has everyone from rockstars, to famed film and fashion royalty flocking to its paradisiacal beaches. 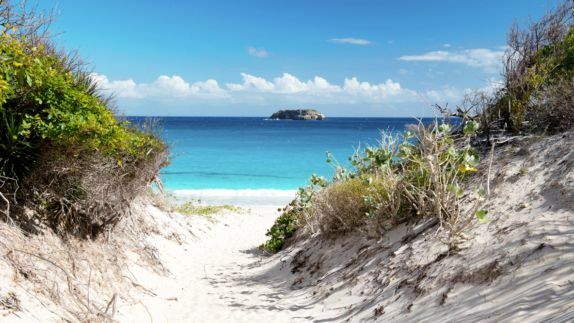 The Villa Marie Saint-Barth, an ultra luxe resort, is a top choice for travelers seeking laid-back island living. 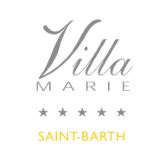 Whether you are frolicking in the beautiful pool, tucked away in the gardens, being lulled into a deep state of relaxation with a wellness treatment, or getting a taste of sophisticated cuisine at the hotel restaurant Francois Plantation, The Villa Marie Saint-Barth is a treasure that keeps guests coming back time and time again. 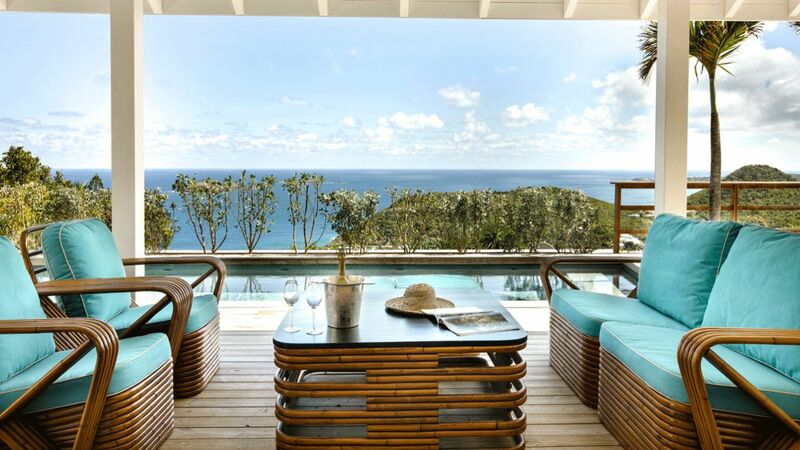 Why is the Villa Marie one of the best resorts for a stay in St. Barths? 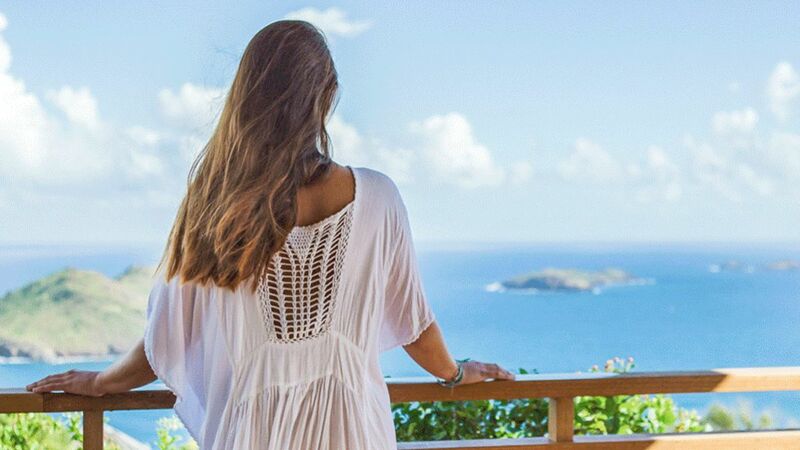 Perched in the hills, overlooking the majestic Flamands Bay, the Villa Marie Saint-Barth is a luxuriously discreet resort, all about peace, privacy, and views. This unspoiled, enchanting, paradise is lined with white sandy beaches and rocks that plunge into the blue Cerulean Sea. The colonial-style property is surrounded by a lush tropical garden creating an intoxicating and charming property. Enjoy the good life at the Villa Marie, as your days are filled with romantic vistas, warm tropical waters, golden beaches, and gentle breezes. How are the private accommodations at the Villa Marie? What type of views can I expect? 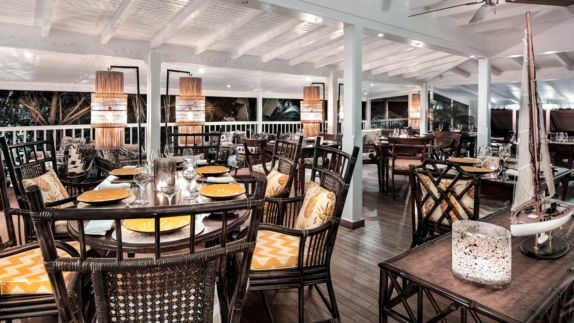 Feel at home at this tropical-chic resort boasting West Indies architectural style and colorful Caribbean flair. 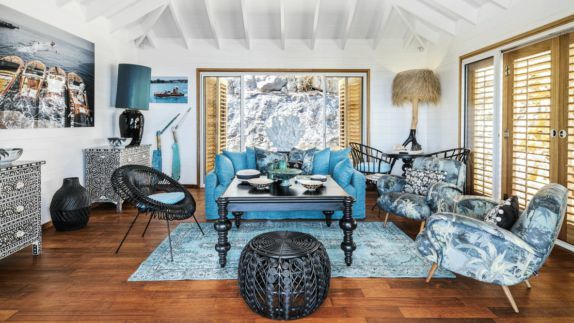 With names like Jungle Passion, Pineapples, and Blue Parrot, your private quarters provide its own unique and distinctive personality. Canopy beds, private terraces, all surrounded by verdurous gardens and ocean views, make you feel like you are on your own private island. These comfortable and stylish accommodations paired with the graciousness and impeccable attention to detail by the staff, create an unforgettable enchanting experience. What’s the best way to relax after a day of adventures? 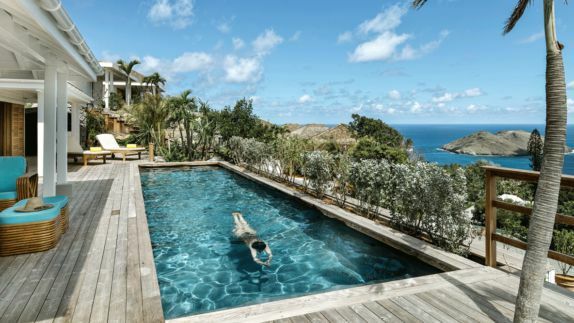 The Villa Marie Saint-Barth’s Pure Altitude Spa is designed to immerse guests in an ocean of well-being. Stay beach-body ready with the toxin-draining Perfect Body Package or Slimming Massage. 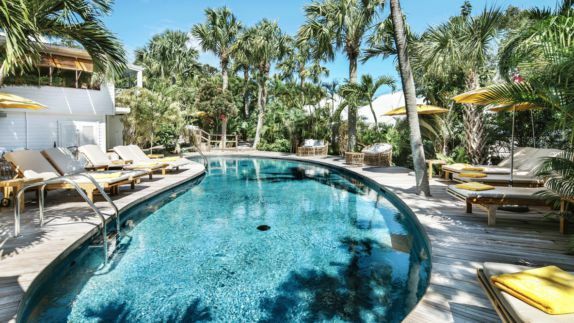 Nestled under the shade of giant palm fronds, banana tree leaves, cacti and mango trees, the Villa Marie’s outdoor swimming pool is perfect for a cool swim or to unwind on a sun lounger with a cool refreshment. 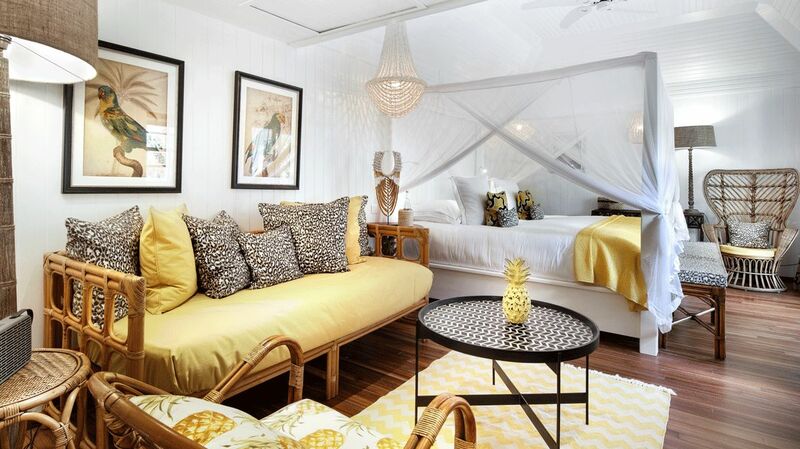 Be sure to pack your colorful kaftans and bold-patterned trunks to fit in with the vibrant beach-chic vibe! What type of cuisines are served at the Villa Marie? What are my restaurant options? Indulge in the finest ingredients of French gastronomy as you are taken on an Epicurean voyage with dishes inspired by the Provence and the Mediterranean, infused with Caribbean flavors. 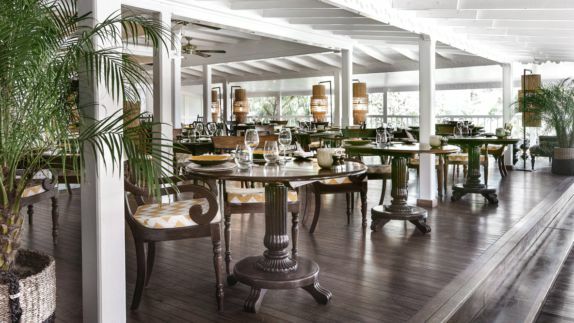 François Plantation, the resort’s fine dining restaurant, is the perfect place to enjoy homemade foie gras, or roasted veal chops with Caribbean spices followed by deliciously sweet coconut ice or pure Caribbean chocolate. Wind down your evening with a nightcap at the Hotel Bar and don’t forget to try the irresistible Ti Punch during your stay! What are some activities worth getting out of bed for at the Villa Marie? 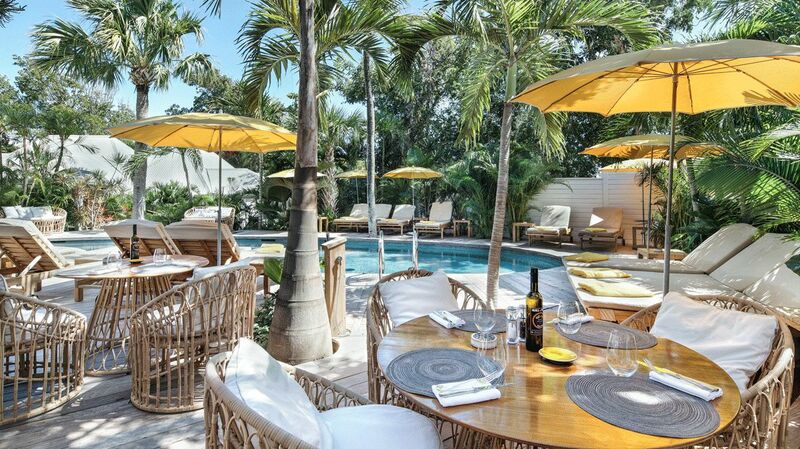 Spend your days relishing in the ease of island life at the Villa Marie. If you want to add a little adventure in-between your downtime, there are boundless sporting opportunities available. Make the ocean your playground as you seek the underwater pleasures of snorkeling and scuba diving. Discover spectacular dives around Pain de Sucre, l’Ane Rouge and Coco Islet. For an ultra luxe experience, you can charter a crewed mega-yacht and sail away the day, or simply spend your days soaking up the sun on white sand beaches.